Countries all over the world welcomed the New Year last week. There were celebrations of all types, but a new trend we saw emerging this year was projection mapping. This technique involves transforming unique surfaces, such as building walls or sculptures, into projection surfaces. While it isn’t a new technology, we’ve seen an increase in this innovative way to use a projector. From Los Angeles to Paris to Singapore, spectacular visual performances played across downtown hotspots to ring in the New Year. More than 50,000 people gathered at Grand Park in Los Angeles for the second annual New Year’s celebration. The main attraction at the event was their version of the Times Square ball drop projection mapped onto City Hall. Our partners at Christie Digital Cinema projected astounding imagery on Singapore’s Fullerton Hotel and the iconic Merlion statue in the Marina Bay area. More than 60 projectors were used in the massive façade, making it the largest number of Christie projectors ever used at an event in the country. We even saw the trend hit Paris, which, before this year, was one of the only countries in the world without an exciting downtown New Year’s ceremony. This year, the city hosted a giant holiday celebration. There was a projection-mapped display on the Arc de Triomphe, with a countdown shown just before midnight. The inaugural year saw thousands of visitors who stood in awe at the demonstration. We love to see the world get excited about projections! 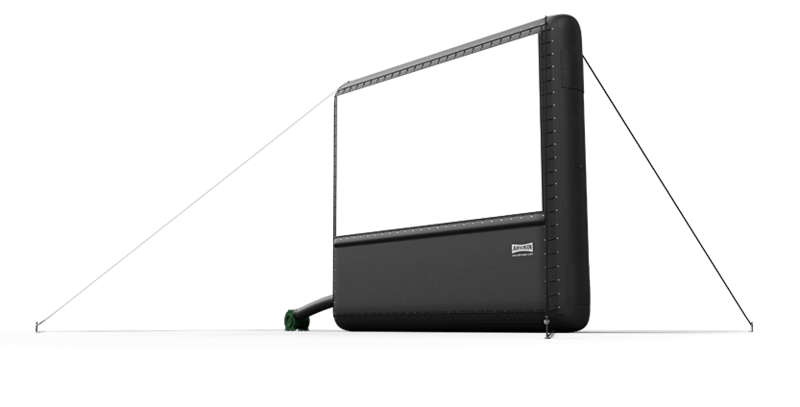 Pick up one of the high definition or Digital Cinema projectors from Outdoor Movies, and see what the possibilities are.